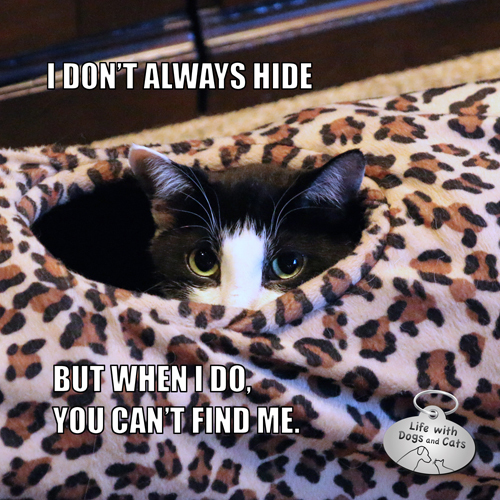 8 Comments on "I Don’t Always Hide #MostInterestingCatInTheWorld"
Tunnel? What tunnel? There’s no cat in the tunnel. You cannot see him. Ooh. That’s a good one. Particularly when someone says V. E. T.
Sounds obvious yes, but Calvin is the best hider. If they can find you, it’s not a good hiding spot, huh? Exactly. Calvin is such a good hider that nobody can ever find him when he wants to be hid.